People often ask me what is the better cap for promo. Is it the truckers cap or baseball cap? To them I say it is like deciding which is my favourite child. I love all caps as they are comfortable to wear and are so popular people all over the word. They are such a versatile item of clothing that can be worn with any attire. Whether you are wearing a two thousand dollar suit or a pair of board short and singlet there is a cap for you. Whether it is a baseball cap or a truckers cap depends on the individual and their tastes. 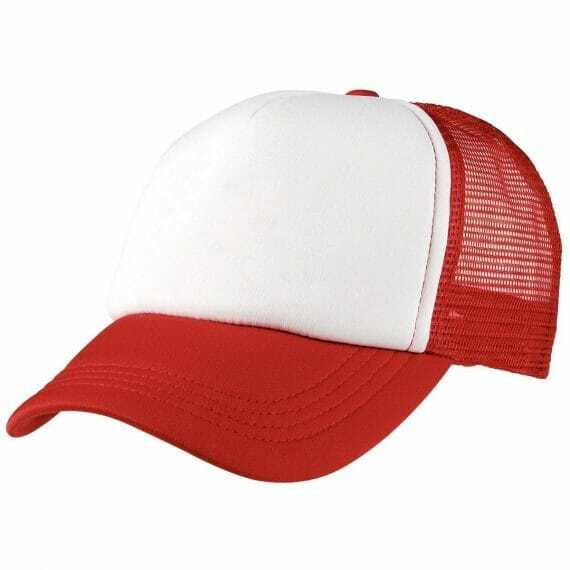 In reality the truckers cap is a variant of a baseball cap. However because it is popular with truckers it tends to be associated with them. Whenever and wherever you have seen a trucker you have seen them wearing a truckers cap. Indeed if you go in to any truck stop you will see an assortment of truckers caps on display for purchase. They come in all sorts of colour combinations and sometimes even with logos. Indeed they are a great cap for custom logos and printing. Generally they are printed with a heat transfer as it allows for a colourful logo on a large surface. Also unlike the baseball cap they some with a mesh back which is great for keeping the head cool. Baseball caps are no doubt a great cap to wear. The fact that they are so compact and easy to wear is why they have become such a popular fashion item. Baseball caps can be seen anywhere these days and they are not just found being worn by sporting personalities. Indeed they are found all over the place. You see them in the work place, at schools and as a general complement to any outfit. Just like the truckers cap the baseball cap is a great custom promotional product. Unlike the truckers cap they tend to be embroidered rather then printed. This is a great option for those looking to having a more durable placement for there logo or message. Also they can be thrown in the wash without worrying about the logo washing off. So while there may be some minor difference between trucker and baseball caps it is not that great. The mesh backing and print area are the only real difference. Both are really cool caps for both casual wear and promotional purposes.